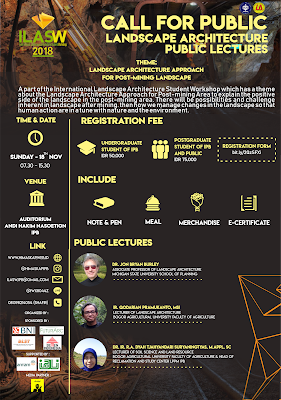 A part of the International Landscape Architecture Student Workshop which has a theme about the Landscape Architecture Approach for Post-mining Area to explain the positive side of the landscape in the post-mining area. There will be possibilities and challenge inherent in landscape after mining. then how we manage changes in the landscape so that human action are in a tune with nature and the environment.